This has no doubt been my craziest week. After recruitment I still feel sleep deprived and my social life seems to have exploded (great, but exhausting!) which means I didn't get as much me time as I had wanted this week. Everything has been great though, and I love getting to know all my new sisters, but the introvert side of me (which is fairly big) needs some time for myself. Homework has also been piling on, and basically everything here today has been a distraction from finishing my work. 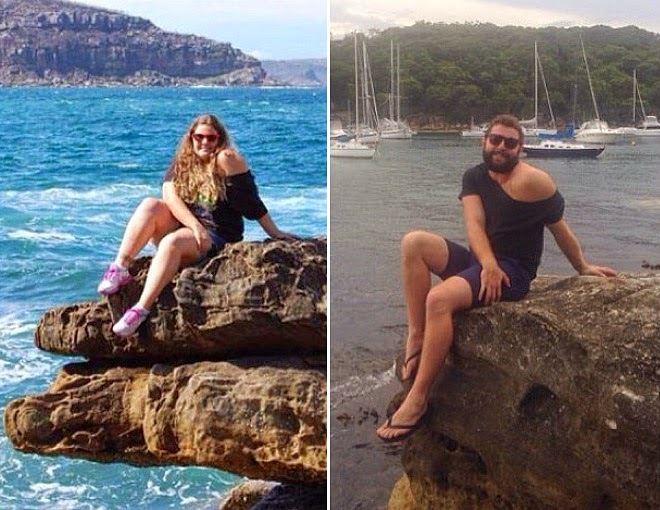 I've always seen Tindr as something out of my comfort zone, and even though I have friends who use it, it still freaks me out a little bit. So I'm not even sure how I found this, probably on Facebook, but this guy is hilarious. His name is Jarrod Allen and has a bunch of these taken. Where he finds the time to take all these pictures I have no clue, but I'm glad he does it. It's seriously the best source of laughter if you're in a slump. 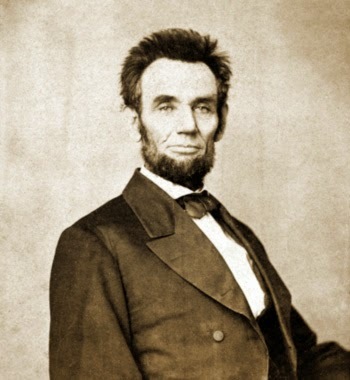 One of my favorite people in history is Abraham Lincoln. I just think he's such an interesting man, and every time I see something with him I have to take a look at it. These pictures are really cool, because most of them are new to me. Some of them are funny, like the one above where his hair is a little bit crazier than normal, and I love seeing old photos of people in a new light. Maybe I'm only interested in these because I'm a history major, but I honestly just think these are really cool, and pictures like these are always so fascinating. Go check'em out! Also, in the pictures that I have seen on the site, I always thought he was on the older side, but in reality he was in his forties for most of these, interesting how people aged faster back in the days without modern skincare! I pinned this quote a little while ago, and it's just stuck with me. If you want to do something, start doing it. If you want to be someone, start the process that helps you get there. 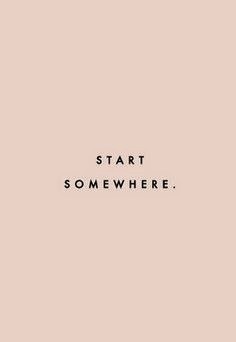 Whether you want to go to grad school, get into a better workout schedule, eat better, organize your room, or start a blog, just start somewhere and you're on your way. Inspirational quotes are some of my favorite things to read, and this one is so simple, but so true and works for whatever you want to do. I think I first saw this one before starting my blog, and I'm so happy that I followed through. If you want to get started on a new project, this is your sign to go do it! I don't know about you, but I'm obsessed with nail polish. My nails are always painted, and I even have an Instagram for my nail designs (although I'm a little behind on updating it!) My Pinterest board is also overflowing with nail designs that I want to attempt, so I thought this list was pretty cool. 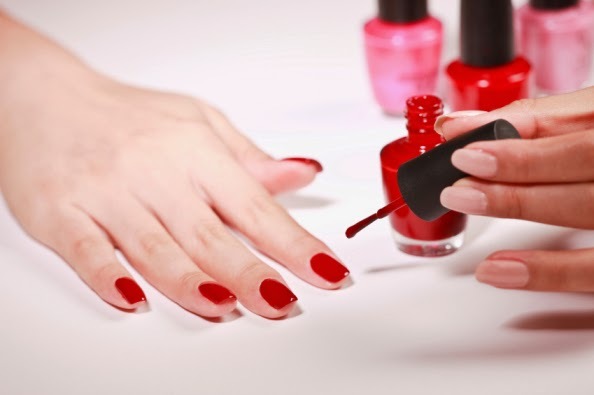 There were a few points that I already knew, like how clear nail polish can be used as a way to keep things together, but many points I had never heard before! Like who knew you could be allergic to nail polish? Those poor girls, I could never survive. Halloween is one of my favorite holidays, and I love decorating, so this was a must-have for my Spot Light list. Maybe it's the free candy, maybe its the fact that I secretly like getting scared, or maybe it's because I look forward to watching Hocus Pocus on repeat the whole month of October, either way, I love Halloween. Yes, it's super early for decorating for Halloween, but don't you want to be prepared for when the time comes? 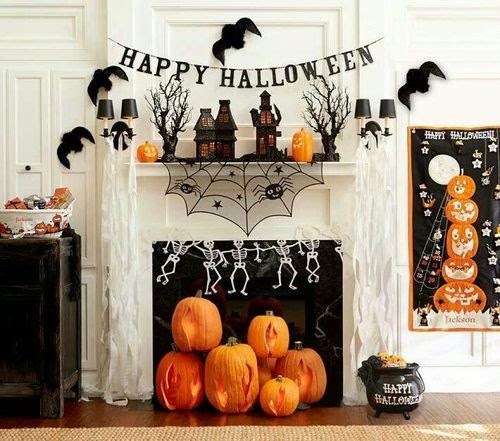 These decorations are classy and cute, and are great for those of you who aren't into the spooky, creepy, pee your pants scary stuff that other houses use. Those are great if you're looking to be terrifying, (which is super fun if you're into it!) but inside my house I know I don't want to wake up in the middle of the night and forget I put something creepy out and have a heart attack. Michael's has some great banners like the skeletons and the "Happy Halloween" one for cheap (not online yet), and pumpkins are easy to find really anywhere.